which boasts of decent set of specifications. The phone is a reasonable powerful and if you are looking for something different from an iPhone or the Galaxy range of phones then you have a look at U8860 Honor. But there is a difference between just looking at a phone and purchasing it. Go through our Huawei U8860 Honor review to know whether the phone is worth a purchase or not. The phone is not the lightest one you will find in the market at 140 grams and dimensions standing at 122x61x11mm but then it is quite manageable. 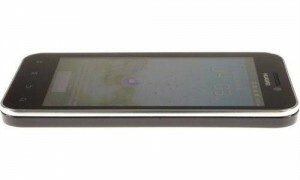 The device is fairly thin and though there is metal frame surrounding the screen of the phone, it fails to add any style statement to it. But the design of the phone is quite clean and is easily pocketable. You can operate the phone with a single hand. The main focus of the phone is its massive 4inch capacitive LCD FWVGA screen of resolution measuring 480×854 pixels. However, the display is not that great, and the image quality and the viewing angles are quite poor. This is perhaps the weakest point of the display of the phone. Below the display you find four capacitive buttons Home, Menu, Back and Search. Above the display you find the usual earpiece along with a secondary VGA camera along with proximity sensor. The sensor disables the display during calls. On the top right hand corner you find a tiny status LED. On the left side of Honor U8860 also features a volume rocker button while on the right hand side you will not find any controls. 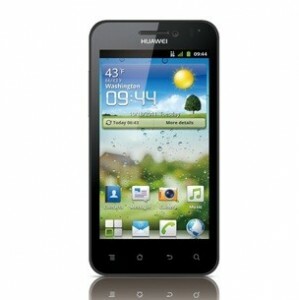 U8860 runs on Android 2.3 (Gingerbread) which can be upgraded to 4.0. The phone offers 1GB of robust internal storage which allows you to store a large amount of data. The memory can be increased to a staggering 32GB. Let us check out some of the other features of the phone. The interface of the phone is quite attractive. The traditional Huawei launcher offers different layout, options and appearance. It gives users a number of options-theme, app icons etc. The home screen is almost very much the same as that you find in vanilla Android with users getting notification on the top. One can quickly toggle for Wi-Fi, Bluetooth, GPS and Screen rotation. At the bottom of the home screen you get three app icons which help you to change whichever app you want. One of the features of the phonebook of Huawei Hono is its Streams feature. One can preset their social networking accounts to display contents from Facebook friends. One also gets a screen widget to go along with added functionality. Telephony is also good with U8860, but we did not like the fact that one cannot make video chats despite the phone having secondary video-call camera. We expect that in feature will be accompanied in future updates. Another great feature of the phone is that it provides a very good amount of cloud storage. The cloud+ drive of the phone gives users 16GB of online storage of files. For cloud storage you need to do an account registration. It is very easy to set up. Huawei U8860 Honor comes with a lot of pre-installed apps such as alarm clock, calendar, calculator etc. Documents To Go is an office suite application for U8860 which allows you to view Office files for free. With the help of DLNA app, you can share multimedia content over the phone’s Wi-Fi connection. Some of the other pre-installed apps in the phone are Google Search, Gmail, GTalk. U8860 Honor is equipped with an 8MP camera which is capable of clicking pictures of resolution measuring 3264×2448 pixels. The camera is equipped with auto-focus, a single LED flash, geo-tagging and HDR. We did not like the interface of the camera that much. The interface offered settings which could have been better. Users get exposure, HDR, Flash settings, white balance etc. The picture quality however is quite good. The pictures produced had plenty of details and the color reproduction was also good. However as compared to devices like iPhone 4S and Galaxy S II, the camera performance is not that great. The phone is not the best camera phone but is above average for an Android device. The phone also has a 2MP secondary camera which comes handy during video chats. The camera is also capable of recording 720p videos which is a great achievement. The interface of the camera is very much similar to the camera one. Though the video playback was quite smooth, yet it lacked the amount of details required. The music app of the camera is quite nice to work upon. There is the usual collection of tabs which you will find such as albums, songs, playlists etc. You can also choose folders, artists, genres and composers. The phone is also equipped with an FM radio which will be loved by music lovers. 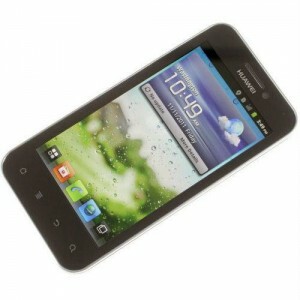 The phone is equipped with a standard Li-Ion 1930mAh battery which gives a talk time of around 6 hours. The price of the phone in US is approximately $ 400 while price of the phone in India is approximately Rs 15,000. Huawei U8860 Honor is one of those phone which has got decent set of features. Huawei may not be a renowned name in the smartphone segment but the company is trying to make a name for itself through U8860 Honor. So if you are looking for an Android phone different from renowned manufacturers then you can try out Huawei U8860 Honor.